We proudly support our Red Wolves! Whether fans paint their bodies, or scream at the top of their lungs, every sport has raucous and fervent supporters. Our fans embody #packpride, and welcome each new freshman class into this tradition. Arkansas State offers 130 different majors taught by some of the finest minds in the region. Our faculty are all committed to offering you personal attention, excellent advising and hands-on learning opportunities. Step onto our campus, and you can sense the excitement ..literally a world of new connections, relationships and endless possibilities. Our students come from almost every state in the United States, and from over 60 countries. 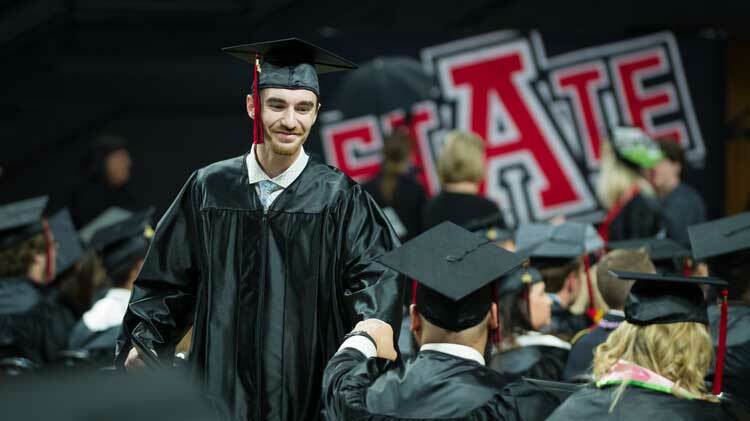 Arkansas State is enhancing advising, working to remove obstacles for registration, creating new pathways for students to re-enroll, and creating new opportunity funds to assist with small financial needs. Arkansas State was the first-ever Bicycle Friendly University in the state and is currently a Silver level BFU, according to the League of American Bicyclists. We have a bike share program and Pedestrian And Cyclist (PAC) Paths to get you around campus. More than recruitment and admission, the Division of Enrollment Management is engaged in a holistic approach that assists students throughout their Red Wolves journey. Providing assistance when needed and remaining in contact during the decision process for prospective Red Wolves prior to enrollment continues once students arrive at A-State. Focusing on its mission to educate leaders, enhance intellectual growth and enrich lives, A-State meets the challenges of continuing as a destination university for more than 14,000 students through the combination of world-class research with a long tradition of student-friendly instruction. The second largest university in Arkansas, Arkansas State is classified as a doctoral research university by the Carnegie Foundation with more than 150 degrees areas of study, including a robust online program, and a diverse student body from across the nation and the world. Dr. Bryan Terry is the inaugural vice chancellor for enrollment management. Dr. Terry brings 27 years of experience in higher education to A-State, specializing in enrollment management for both private and public universities. His focus on a data-driven workplace has guided his student-first approach to success. The Chancellor’s Commission on Completion is a 17-member task force with a steadfast commitment to the goal of graduating more students at Arkansas State.